Planning and preparing healthy meals is one of the most—if not the most—popular topics of conversation throughout the wellness world. There are hundreds of tips and tricks and recipes to help weekly meal prep go smoothly. There isn't so much in terms of advice, however, when it comes to planning and preparing healthy snacks. That's ironic considering most of us snack at least once a day every day, and what we choose to eat has the power to influence the rest of our dietary choices over time, not to mention our long-term energy levels and general sense of well-being. We know to steer clear of anything that has been heavily processed or filled with preservatives (no, that bag of salty chips you snagged from the office's communal food drawer doesn't count as a viable afternoon snack). Beyond that, though, we don't have much direction. Should we go for something simple, like a piece of fruit? Or should we make it easy by investing in a box of healthy nut bars that we can grab and go? When it comes down to it, what we really want to know is whether or not there's a universal set of rules for crafting the perfect healthy snack. We were without an answer, which is why we decided to reach out to a few experts. Keep scrolling to see what they recommend eating (and when) to keep you satiated between meals. Healthy snack foods for the win. High-protein, low-carb foods are a particular area of concern for most wellness-minded people, and it's easy to see why. Protein provides the building blocks for muscle, while the absence of heavy carbs indicates natural, healthy origins. However, like all things in diet and fitness, it varies from person to person and depends on each individual's goals. That's according to Monica Auslander Moreno, MS, RD, LDN, nutrition consultant for RSP Nutrition. "High-protein, low-carb would be appropriate for most people who are trying to lose weight," she explains. "This would give you that satiating protein without so many carbohydrates, which are the easiest thing to cut when trying to lose weight." Lyuda Bouzinova, co-founder of Mission Lean and ACE-certified fitness nutrition specialist and personal trainer, agrees that there's not a universal snack that's perfectly healthy for every single person at every single time of day: "The healthiest snack depends on what your body needs at that moment. Sometimes your body needs a quick sugar fix, in which case an apple or banana should do the trick. Sometimes it needs something more substantial, and a bite of oatmeal with some nuts and dried fruit will be better. If you're craving more than just sugar then it's a good idea to have a healthy mix of carbs, protein, and fat in your snack. That's the best way to feel satiated and stay full." Even though there's not an end-all answer for the best healthy snack, there are some guidelines to follow. Start by making sure your midday snack has protein in it. "Protein is the most satiating macronutrient. It works in a dose-response, so the more protein, the more satiating the snack will be," explains Mike Roussell, Ph.D., co-founder of Neuro Coffee. More specifically, reach for a target amount of 25 to 30 grams, which Roussell says is "essential for controlling hunger and potentially signaling the brain to decrease food cravings. 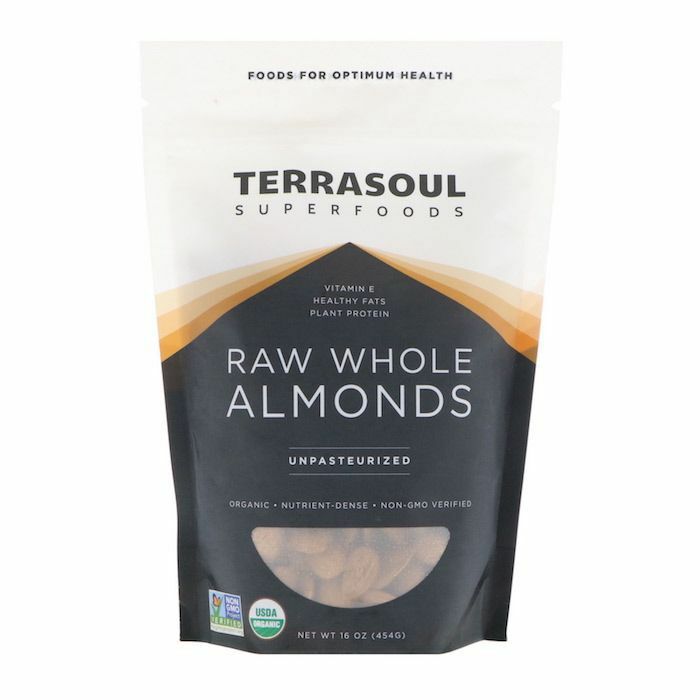 Adding five to 15 grams of fat and [about] five grams of fiber to a snack will help with satiety and fullness, as fat and fiber also help curb appetite." That, our friends, is the key. You should strive for a mix of macronutrients in your daily snack. Don't just focus on eating protein alone. Aim to eat a snack composed of protein, healthy carbs, and healthy fats. It's the most surefire way to feel full and satisfied while also keeping your blood sugar and energy levels in check. In other words, a mix of healthy macronutrients will keep you from binging on sweets or looking for a quick energy boost in a third (or fourth) cup of afternoon coffee. You'll actually feel full. We can talk about macronutrients all day, but what we really need to know is how they translate into real foods. That's why we posed this question: What are some real examples of snack foods that contain a healthy mix of macronutrients? Our experts were quick to provide recommendations—eight, to be exact. Moreno suggests eating a handful of raw nuts to hold you over between meals. Nuts are generally high in protein and fiber, which are two things that help you feel (and stay) full. We know what you're thinking. Fruit isn't exactly low-carb thanks to the bevy of natural sugars found inside. However, the rest of its nutritional value makes up for that. Think antioxidants, vitamins, and minerals. There's also a big difference in the carbs found in fruits and veggies and those found in, let's say, a plate of creamy white pasta. Moreno recommends eating a half-cup of fruit when you find your stomach growling in between meals. This one's for all the cheese lovers out there. Believe it or not, Moreno says a small amount of cheese makes for a healthy snack if paired with some cut-up veggies. She recommends eating roughly one ounce of organic cheese. The key word here being organic. 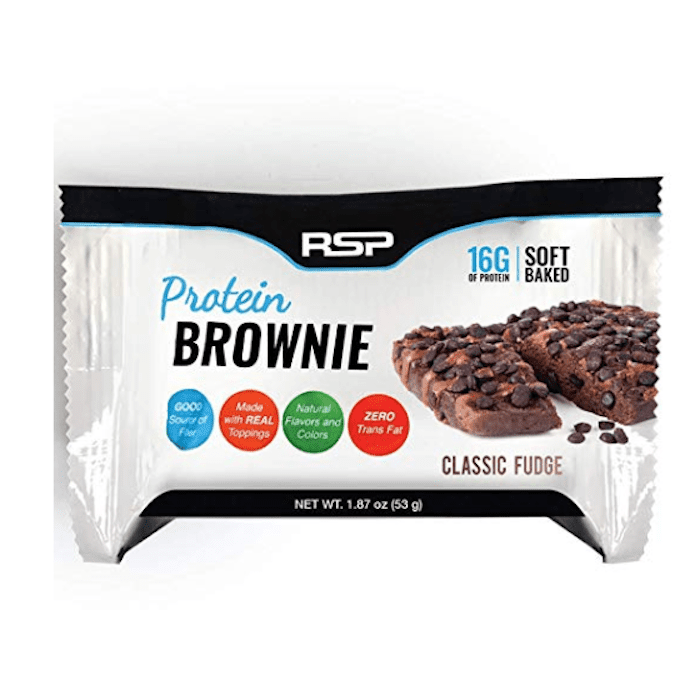 "The RSP Nutrition Protein Brownie fits all delineations of a perfect snack. We've got four grams of fiber, nine grams of fat, 16 grams of protein, and 20 grams of carbohydrate. Plus, it's actually scrumptious and you would look forward to eating it," Moreno promises. We like that it's portable and not as perishable as other snacks. It also doesn't require any preparation, which is why she calls it the perfect purse or desk snack. We're all aware of the magic powers of the humble avocado, as it contains healthy fats that keep us feeling full and satisfied. Eat it in its best form: guacamole. Just be sure to switch out those salty, carb-heavy tortilla chips with all-natural jicama sticks instead. 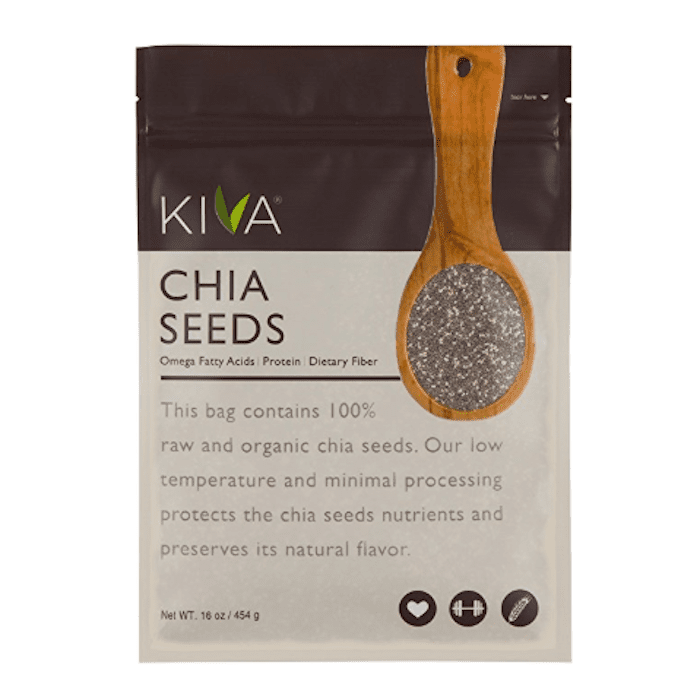 Here's another healthy alternative to chips and dip. Keep a box of flaxseed crackers on hand. Pair them with hummus for an afternoon pick-me-up. Moreno suggests eating no more than two tablespoons of hummus each time that you snack. You can also try making your own parfait by combining yogurt, chia seeds, and berries. If you're vegan, sub out traditional yogurt with a soy or a similar non-dairy-based yogurt. Either way, make sure it's not fat-free. After all, you want to steer clear of processed foods or potential preservatives and additives. This one is easy to prep and even easier to take with you on the go. Prepare it the night before, store it in the fridge in a glass jar, and pop it into your lunch bag the next morning. "If you are adamant about having high-protein snacks that are also low-carb, you could have some carrots with a few slices of turkey," Bouzinova says. Keeping snacks like this around, which are easy to grab whenever hunger strikes, will make you more likely to stay on course with healthy eating habits. What we're really saying is that you won't reach for a bag of chips when experiencing a surplus of hunger and a lack of motivation. We've all been there. There are just a few things left to remember. The first is that you should be enjoying your snacks. Even if you're eating something healthy with a good mix of macronutrients, you still need to feel mentally satiated—not just physically satiated." Take it from Moreno. "Egg whites are low-carb/high-protein, but they are not a satisfying snack," she says. "You also have to choose a snack that tastes good and mentally satisfies you. Otherwise, you feel deprived and will overeat eventually. Ideally, you'd want a snack with complex carbohydrates (that will give you fiber), protein, healthy fat, and something that tastes amazing. You should look forward to your daily snack(s)!" Next, snacks aren't supposed to make up your main food consumption. "You should snack only if you're really hungry and there are many hours until you can sit down and eat your next meal," Bouzinova says. "Make eating full, complete meals to satiation a priority, and it's likely snack attacks won't happen to you anymore." Most people opt for a mid-afternoon snack sometime around 2 to 3 p.m., although mid-morning snacks are okay too. "Most of our clients definitely get an afternoon snack in between lunch and dinner," Moreno says. "About half spring for a mid-morning snack as well. It's a good idea to pay attention to your hunger signals to define when you should snack, which can be difficult when you're wired in at work. People often don't realize they're hungry until they are starved, and then they'll overeat at a meal. A general guideline is to eat something (a meal or a snack) every three to four hours." There you have it. That's how you treat snacking like a science. Next, read up on the best plant-based proteins to incorporate into your diet.